Advanced Orthopedics (Stony Brook) - Book Appointment Online! 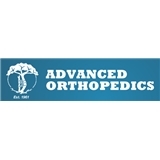 Advanced Orthopedics is a premier orthopedic practice that has been serving Long Island since 1961. Our practice offers patients of all ages access to technologically advanced care for a wide range of orthopedic issues. Our board-certified, fellowship trained physicians working together with an experienced and compassionate healthcare team ensure that all patients receive superior care. Avoid the long wait, inconvenience and added expense associated with Emergency Room visits. Advanced Orthopedics provides prompt attention by trained orthopedic specialists. Our offices provide on-site digital x-ray services. Our Patchogue location also offers physical therapy and an open MRI. Our MRI services have been accredited by the Intersocietal Accreditation Commission (IAC). Actually saw Dr. Kincaid. Very good.